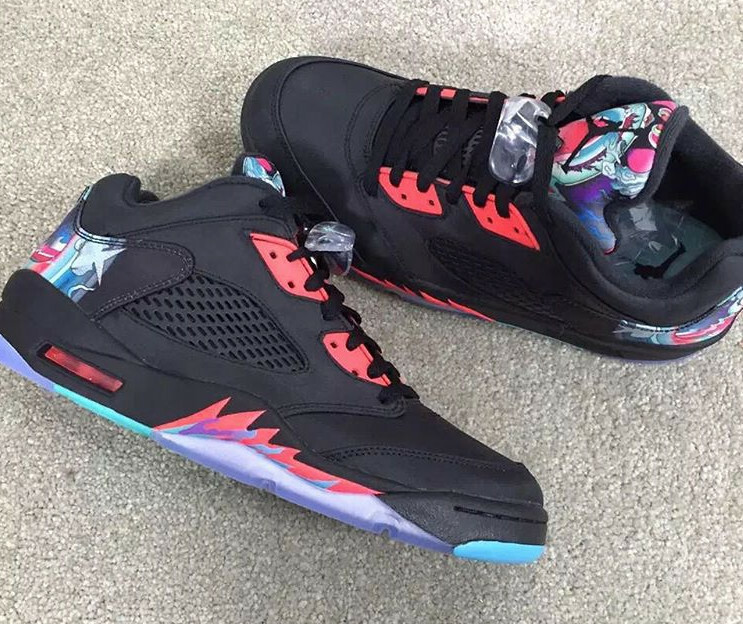 It appears that Jordan Brand will be bringing its Chinese-themed sneakers over to the retro side once more with this Air Jordan 5 Low. 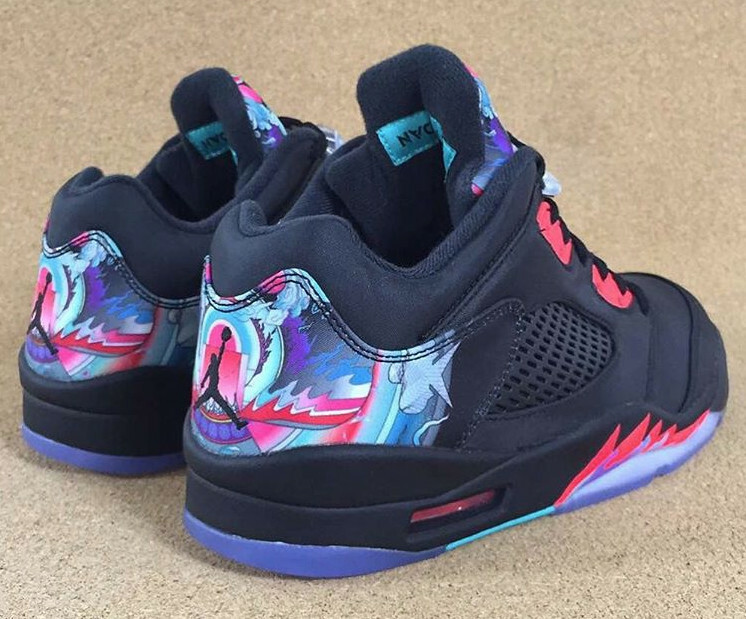 The sneaker, currently rumored as a 2016 release, has one of its more graphic looks ever here. 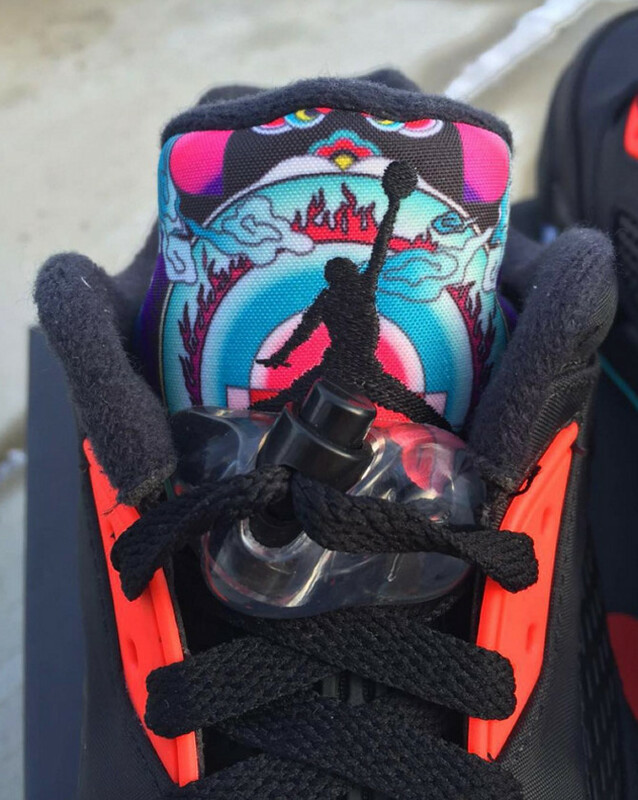 There is art on the tongue, heel and insole, along with a wavy look creeping up on the midsole's shark teeth. 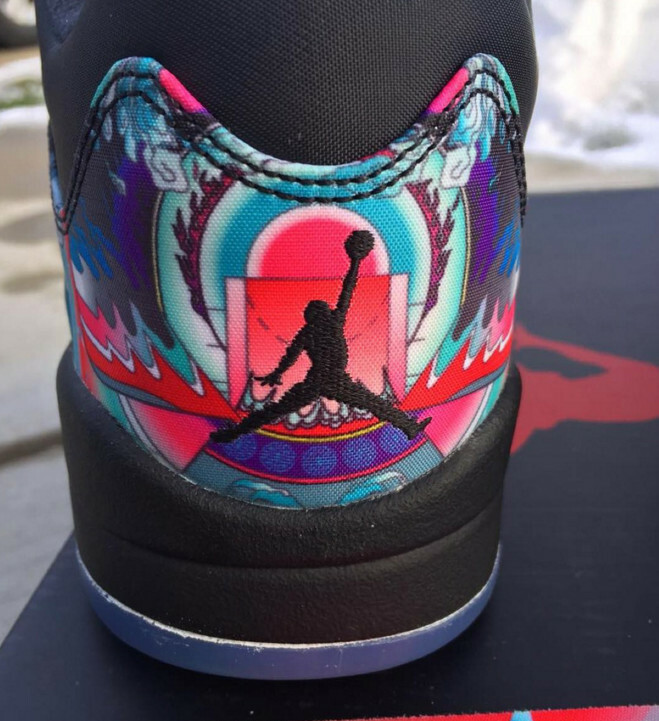 It's possible that this pair will be a Chinese New Year edition – Jordan has ventured into that territory before with releases like the "Year of the Snake" Air Jordan 1. 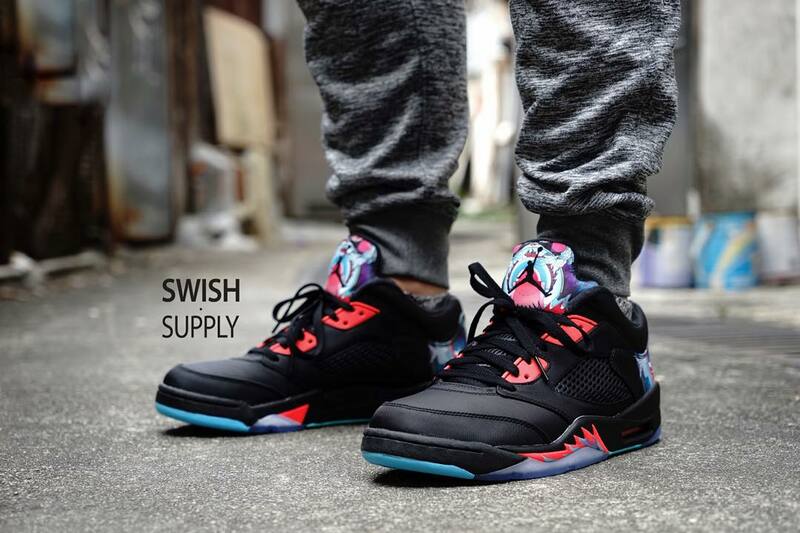 Sole Collector will update here with confirmation of a Jordan release date on this pair. 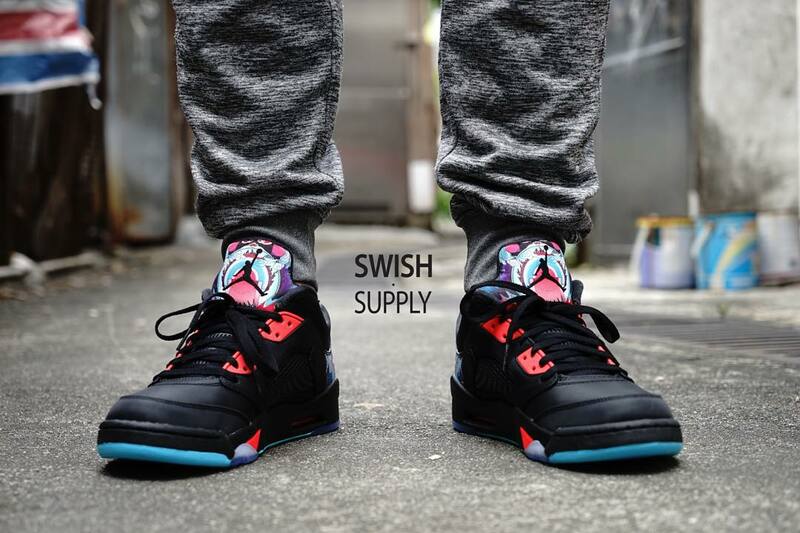 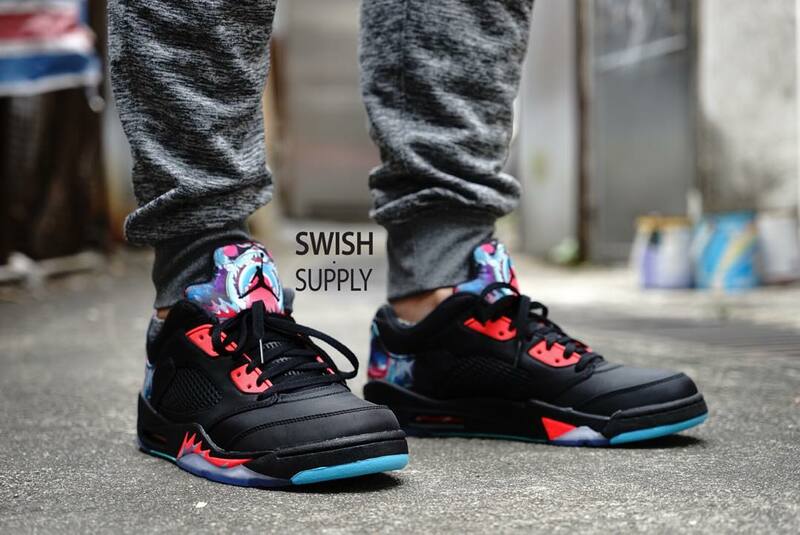 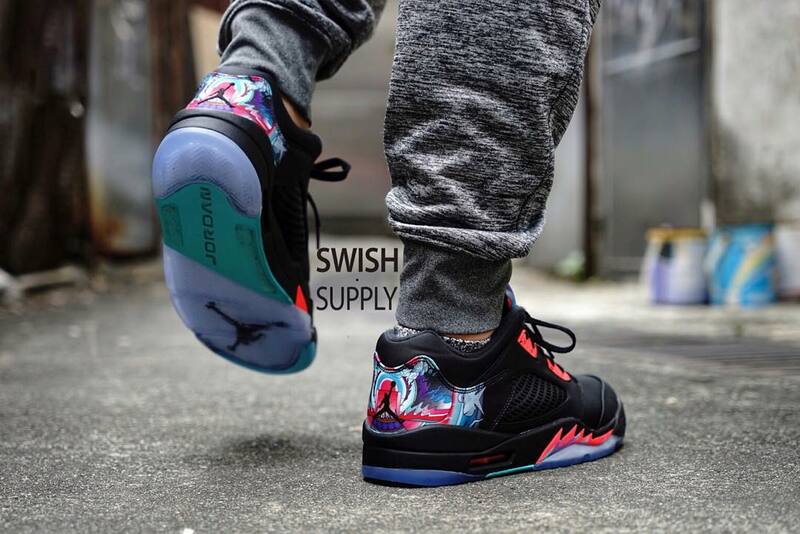 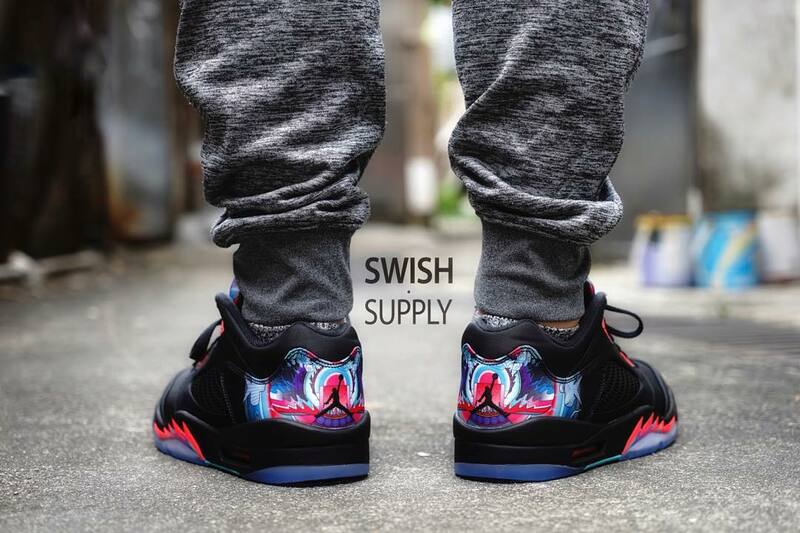 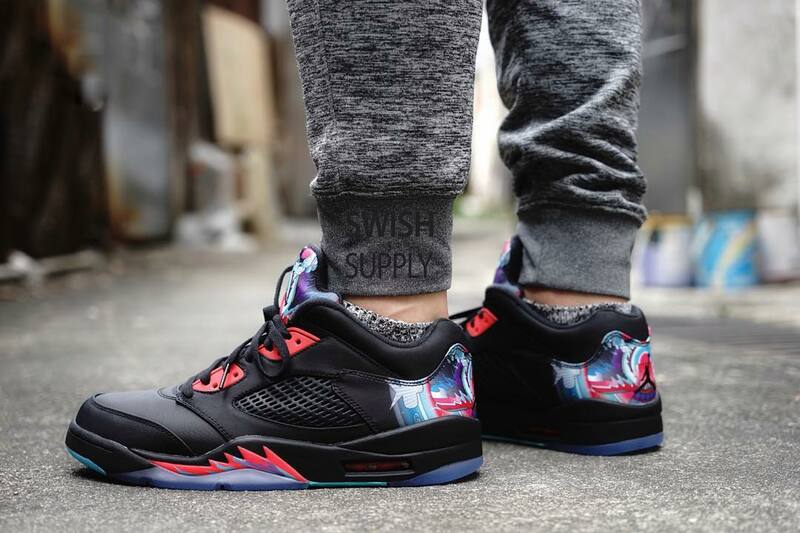 Air Jordan 5 Low PRM QS "China"
UPDATE 11/26: New on-foot images of the "China" Air Jordan 5 Low via swish.supply. 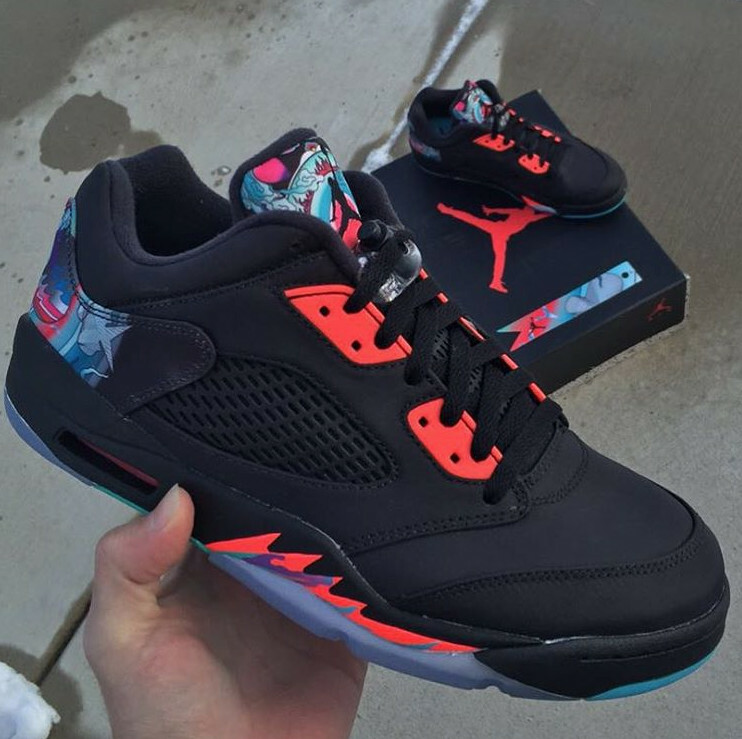 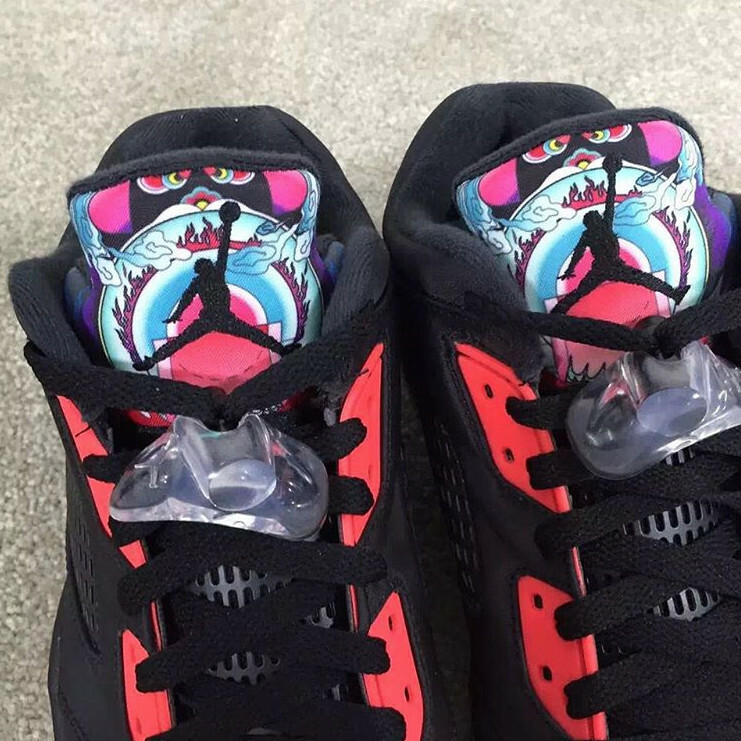 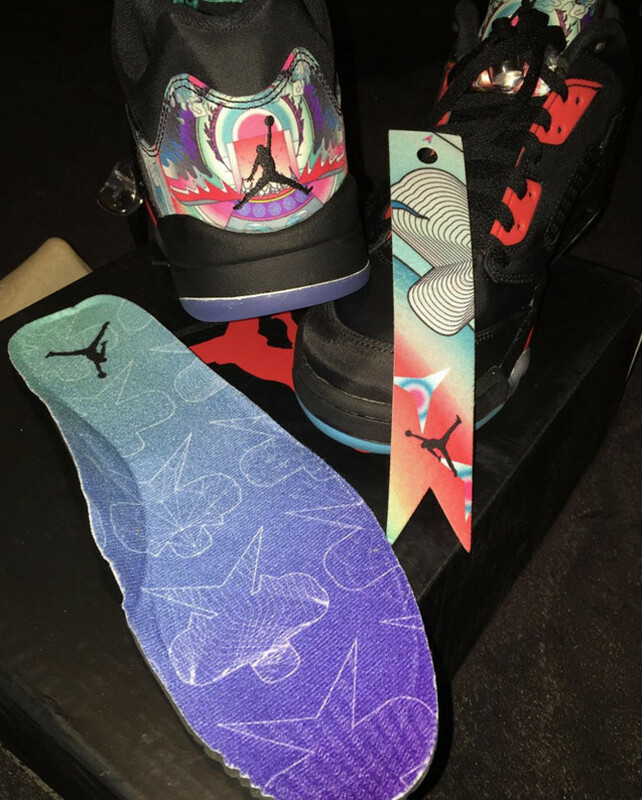 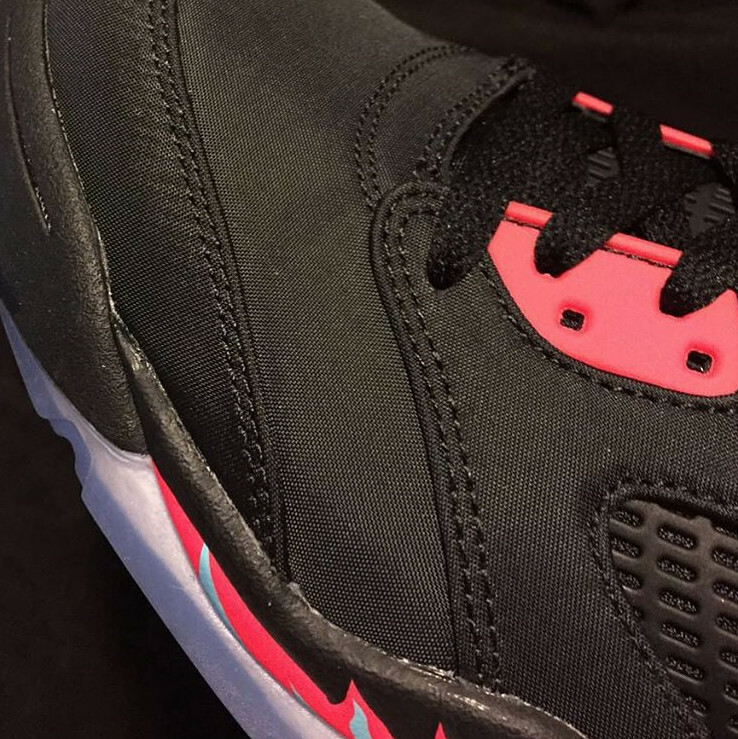 UPDATE 11/23: New images of next year's "China" Jordan 5 Lows.